Need a new action-RPG? Kalypso Media has people covered with the worldwide release of Shadows: Awakening. Gamers are now able to go on an adventure into the dark world of the Heretic Kingdoms once more. Shadows: Awakening casts players into the role of an ancient demon known as the Devourer. Your avatar has been summoned from the Shadow Realm with his puppets, the souls of dead heroes from the mortal realm. Check out the Shadows: Awakening launch trailer below. As you dive into Shadows: Awakening, you work with a party of heroes. 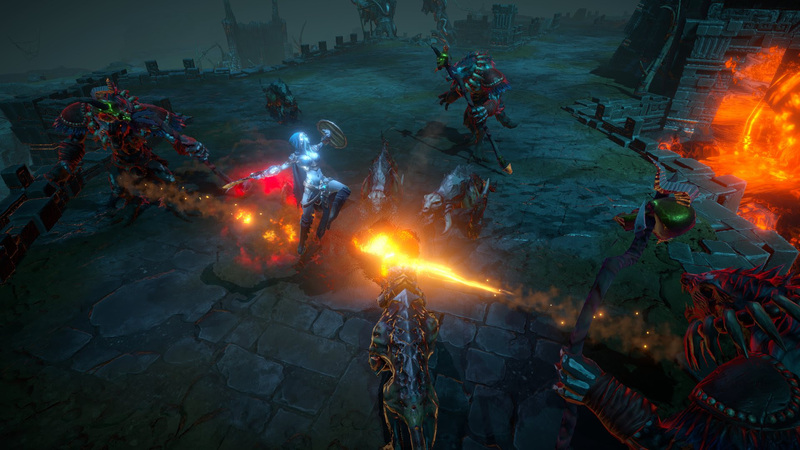 Players have to employ different strategies during combat, but one of the more prominent ones will be switching between realms. Anyone planning to head into Shadows: Awakening? What do you think?